Australia CAMPER VAN Rental Surf Camp - Sydney, Gold Coast Guests overall rating: ★★★★★ 5 based on 2 reviews. 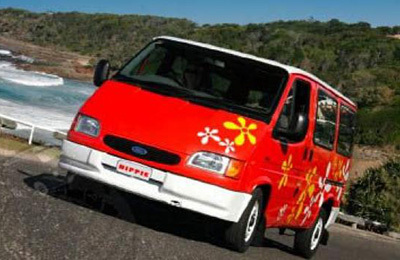 Come and rent the perfect travelling Surfer van. Vans ideal for travelling around East coast of Austrlia. FRom Cairns to Sydney. Sunshine Coast, Gold Coast, Byron Bay, etc, etc. Backpackers and all other accomodations in Australia are NOT cheap! So this is the best option to travel around. The camping grounds and beaches all over Australia have the cleanest bathrooms in the world! There is public gas barbecues and free bathrooms all over the place. Camping is part of the Aussie culture so it is very much respected.Gas and diesel are almost 50% cheaper than in Europe!! Features of the van include double bed, fridge, gas cooker and sink. Contact us and ask for prices. They start at 49 Aus dollars per day depending on the season. Engine: 2.5 Litre Turbo Diesel. The minimum rental for all vehicles is 14 days. Driver’s Licence and Minimum Age A valid driver’s licence is required. If the driver’s licence is not in the English language (e.g. German, French, Chinese, etc) then an international driver’s licence is also required.The original driver’s licence must be shown at time of pick-up when the driver is present. The minimum age to drive the vehicle is 18 years and the maximum age is 75 years. Kitchen and Personal Kits Each vehicle is supplied with complimentary living equipment (such as bedding, cooking equipment, eating utensils, bath and tea towels.) Maps and Campground Guides Each vehicle is supplied with a complimentary Road Atlas as well as campground guides. Each vehicle is supplied with a complimentary Hippie Pack for the first night. The pack contains, matches, mini shampoo and conditioner, dishwashing liquid, sponge, soap, salt and pepper, coffee, tea and sugar satchels. The gas canister is supplied full. A service fee of $15 is payable on pick up of the vehicle. The gas canister can be returned empty to Hippie Camper at the completion of the rental. The Hippie Camper can only be driven on sealed/bitumen roads or well maintained access roads less than 500 metres long to recognised campgrounds. The Hippie Camper is not allowed to travel in Tasmania, Northern Territory or Western Australia. Hippie Camper reserves the right at its sole discretion to restrict vehicle movements in certain areas due to adverse road or weather conditions. Sun, sand and surf are part of the Australian way of life. 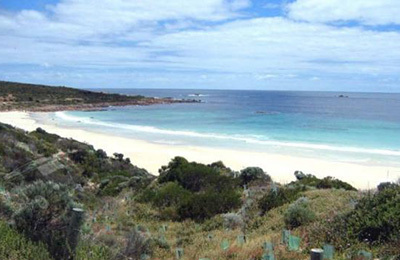 Australia’s coastline is 22,845 miles (36,735 km.) long and features some of the world’s most spectacular beaches. For most of the 75 percent of Australians who live within an hour’s drive of the coast, their local beach is like an extension of their backyard. You can discover why Australia is synonymous with surfing by taking a coastal drive and gazing at long beaches with great waves. The eastern state of New South Wales (NSW) is probably the most famous surf state in the country, thanks to its capital Sydney – Bondi Beach is an international surf icon. Other surf beaches in the metropolitan area of Sydney include Manly, Dee Why, Narrabeen and Avalon. Surf’s up in coastal towns to the north and south of Sydney, including Coffs Harbour, Ulladulla, Wollongong, Crescent Head and Nambucca Heads. 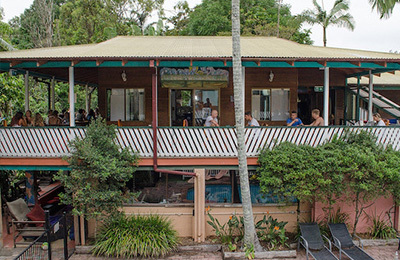 Excellent surf, great food and whale watching top the touring surfer’s agenda in Byron Bay, Australia’s most easterly point. Queensland (QLD) lays claim to some of Australia’s best surf and most popular beaches. Long before the Gold Coast became the country’s busiest tourist centre, Surfers Paradise was just that : 42 kilometres of world-beating surf. North Stradbroke Island and the Sunshine Coast north of Brisbane also offer great waves. Vans’ Dropoff and Pickup points are located in Sydney (NSW) and Brisbane and Cairns (QSL) The distance between the two extremes is 2.000 km. (1,250 mi.) and covers the whole of Australia’s eastern coast, from subtropical Sydney in the south to tropical Cairns in the north. Warning ! The seasons are reversed “down under”. Australian summer is from December to March and winter from June to September. No need of visas for citizens of EU, US, Canadian, New Zealand and Japan..
Change of Drop Off Destination If the renter wishes to change the drop off destination after the rental has commenced, they first must obtain authorisation from Hippie Camper Head Office. Subject to the change being approved, an additional charge of $500 will apply. Repairs Although we run late model vehicles, it may happen that small repairs are required. Repairs up to $50 may be affected without authorisation and will be reimbursed unless the damage is caused by the renter. For amounts over $50, Hippie Camper will need to be informed in advance. All vehicles are enrolled in the Australian Automobile Association and 24hr emergency roadside assistance is available. Personal Injury The Vehicle has third party insurance cover. It is likely that any other vehicle involved accident also has third party insurance cover. Depending on the circumstances accident, the renter may be entitled to claim for their personal injury against the insurance of the party responsible for the accident. The extent of such third party varies in different States and Territories and Hippie Camper strongly recommends passengers take out their own Personal Injury Travel Insurance.If the renter is responsible for the accident the Vehicle’s third party insurance should the renter for the liability except where the renter has committed a breach of the third party insurance, e.g. drink driving. Property Damage The Vehicle is insured for damage to it or damage to the property of a third party. the renter is responsible up to the amount of the applicable Liability for the cost damage to third party property, or to the rented Vehicle. The renter is also responsible the cost of demurrage for the period the Vehicle is unavailable due to repairs. applies in respect of each claim, not per rental. The Liability is applicable regardless of who is at fault and must be paid ataccident is reported to Hippie Camper, not at the completion of the rental Period. "Everything was clear during the process and the van was awesome. A great thank you, espacially to Bari, from the Branch in Sydney, we were totally blocked in the traffic in Sydney (a nigntmare)"
"I rented the campervan Euro Tourer from Alice Springs and dropped it off in Melbourne. The pick up and drop off service staff were both very attentive and professional and I had a smooth delivery and"